We are very excited to say that kindergarten is now free! This is an extension on our very popular 30 Hours Free initiative introduced in 2014. We wanted to be able to extend on the offer of free kindy for our families. Use your 20 Hours ECE at Kindergarten and any extra hours your child attends will be free - no fee charged! 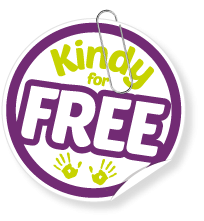 Kindy for Free is available at 22 of our 23 Kindergartens throughout Southland. Read about Winton Kindergarten's amazing journey and collaboration to create an art installation for the community. The Cottage Kindergarten are focusing on local community super hero's to role model to the tamariki. Website designed by Market South.